Sometimes you love your neighborhood, but the house just doesn’t quite meet your needs anymore. Or maybe you’ve been renting, and you finally decided it’s time to get your own spread. You take you time and when a home in the community goes up for sale you snap it up. The new place is practically right next door so the move should be easy, right? Not so fast. The distance between your old house and your new home doesn’t directly correlate to how easy or difficult a move will be. It actually takes the same amount of effort (possibly more) than moving across town. Here why it’s still a good idea to hire a moving company even if you new home is just right down the street. Maneuvering everything into a new home is heavily dependent on the layout, architecture and property features of the place you’re moving to. It would be far easier to drive a moving truck a few more miles and unload everything into a home that’s one-story on level ground than to go a few blocks and move into a two-story home that has such a steep incline it’s impossible to get a truck into the driveway. In other words, difficulty isn’t about location it’s about the property. 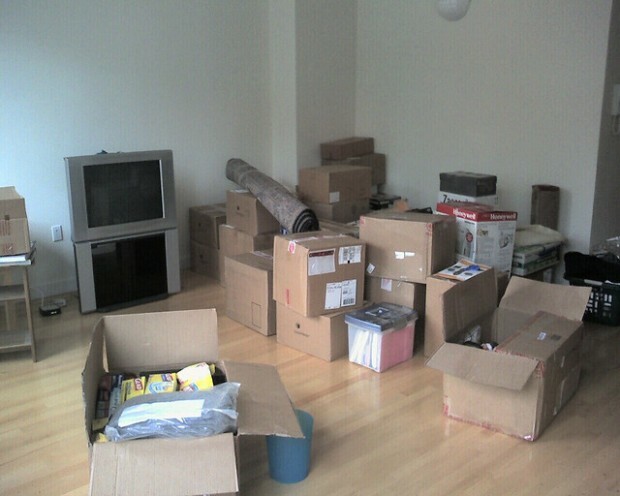 If one or both of the properties have hauling hang-ups you still may want to hire professional movers to help. Moving is moving no matter where the new home is. You still have to get everything in your old home packed up, and it will be just as time consuming regardless of where it’s going. If you’re short on time or have items like flat screen TVs that require special packing hiring some help is still a good idea. Moving is stressful and frankly it can be a bit of a burden on your neighbors if you have moving trucks outside, are hauling things back and forth, making a little bit more noise than usual, etc. In the frenzy of moving most of us can forget and let our neighborly nature slip a little bit. This is easier to do if you’re moving and won’t be neighbors much longer. While it’s important to not let the stress get in the way of being neighborly, when you’re moving within the same neighborhood it’s a must. Getting some assistance from a moving company can help you manage the workload and alleviate the pressure. Movers can also make it easier to get the bulk of the move out of the way in the middle of the day when most of your neighbors are at work. Let’s be honest. If you’re moving out of a neighborhood into a new one you’re probably not as rigorous about following every single HOA rule and bylaw to a tee. But when your move doesn’t take you out of the community there’s no room to cut corners. A professional moving company like Square Cow Movers makes it a point to know all of the regulations and HOA rules so that they’re followed precisely. Moving isn’t always fun whether you’re moving next door or across town. At Square Cow Movers we do everything in our power to make any move more relaxed so you can focus on enjoying your current and future neighborhood instead of stressing over the relocation.